Stanford University students demonstrate how multi-million dollar initial coin offerings (ICOs) are not necessary to create working blockchain-related products and solutions. Since 2017, companies from the traditional finance sector and tech industry have aggressively targeted the lucrative ICO space to generate substantial profits in a short period of time. For developers, token sales in ICOs are an impeccable fundraising model because investors must agree that the tokens they invest have no value, substance, and use case in order to circumvent US Securities and Exchange Commission (SEC) jurisdiction. Without viable prototypes and working products, blockchain developers can raise tens of millions of dollars in a matter of days to start the process of development. But, as seen in the case of Tezos, raising many millions of dollars often lead to disputes within the founding members of a blockchain project, prolonging and delaying the development of the blockchain network. This week, students attending Stanford’s CS 359B program “Designing Decentralized Applications on Blockchain” developed 16 blockchain-based decentralized applications on the Ethereum protocol, creating applications to maximize the potential of peer-to-peer digital asset trading and transaction processing. 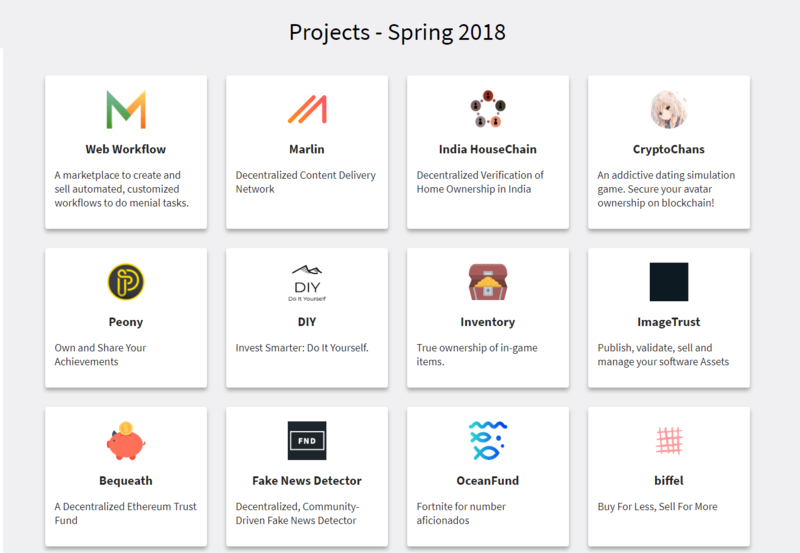 Some of the innovative decentralized applications developed by Stanford students in spring 2018 included customized workflow marketplace Web Workflow, decentralized content delivery network Marlin, and software asset distribution platform ImageTrust. Projects showcased by Stanford earlier 2018 created applications that require the blockchain and maximize decentralization. This is in contrast to many ICOs whose fundamentals are based on blockchain buzzwords such as “high-performance protocol” and “proof-of-stake” (PoS) and lack innovation and uniqueness. 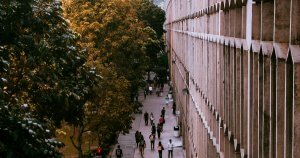 In consideration of these ventures and the worrying trend of ICOs resorting to buzzword and blockchain jargon-based projects to raise tens of millions of dollars, the Ethereum community expressed optimism towards some of the projects created by Stanford students that utilized blockchain technology in applications that are in absolute necessity of decentralization. Blockchain technology as a database is highly inefficient, as Ethereum creator Vitalik Buterin previously noted. In contrast to centralized platforms like Amazon, using the Ethereum supercomputer to solve problems lead to a million-fold increase in expenses. Therefore, the demonstration of blockchain potential with products that can only exist on the blockchain such as India HouseChain, that verify ownership of real estate and properties in a decentralized and transparent manner, can be considered a positive development in the blockchain sector.